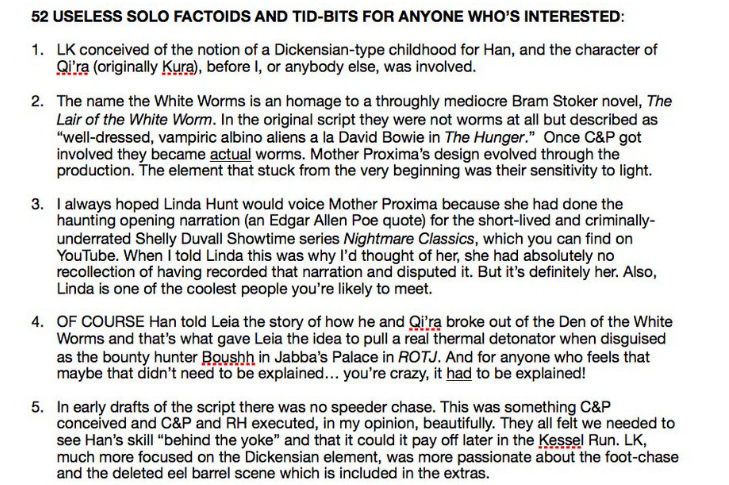 At the beginning of Solo: A Star Wars Story, we are introduced to a younger Han Solo and his girlfriend Qi'ra who are under the thumb of some criminal organization led by an alien that is literally a White Worm-like creature, who lives in a water hole, and is sensitive to light. This scene and creature is very similar to the concept and creature presented in Bram Stoker's horror story, Lair of the White Worm (1911). Is Solo intentionally referencing Bram Stoker's work? Yes, Mother Proxima and The White Worms gang are homage to the novel! The White Worms were first mentioned in the 2018 adventure book Choose Your Destiny: A Han & Chewie Adventure, written by Cavan Scott. 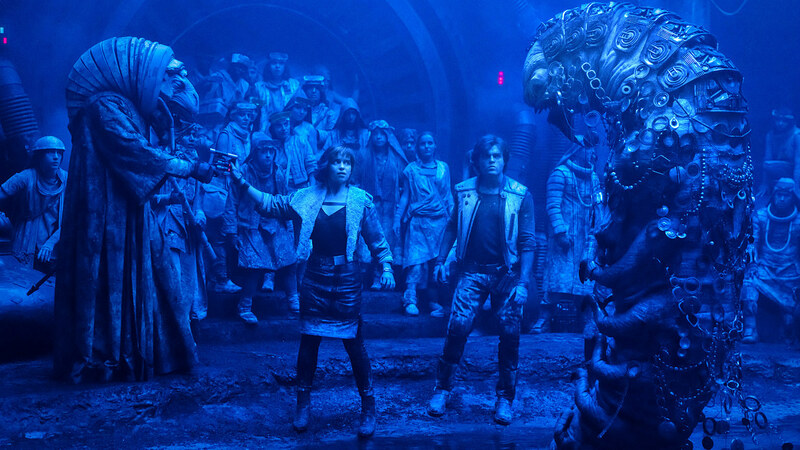 They first appeared on-screen in the 2018 Star Wars Anthology film Solo: A Star Wars Story. The gang's name was an homage to Bram Stoker's 1911 novel The Lair of the White Worm. Not the answer you're looking for? Browse other questions tagged star-wars reference solo-a-star-wars-story . Why did Han Solo end up with Jabba the Hutt? Was 1970s Han Solo's name inspired by 1960's Napoleon Solo? Why are there Stormtroopers in Solo? Who was the character that appeared at the end of the movie? How did Han join the Empire at the beginning of Solo?